Everyone has been going on these days about how awesome A.R.Rahman is...and I'll admit that I am no different. However, I thought that instead of Jai Hoing along on his awesomeness, I'd go back in time and see just why this guy is a rockstar, a maestro...why he's possibly one of the greatest Indian music makers ever. And while doing that, I thought I'd take YOU along with me. So here goes! Let's take the decade in which he began...and blew minds with his new style of making music. This show, I'll just stay in the 90s and I will try to stick to his Hindi catalog as I think most of us would be able to understand and appreciate it a lot, but there is no denying that some of his biggest hits were originally in tamil/telugu. I might however pick a few legendary tamil/telugu songs too. Also I will pick just the movies that were relatively well known...not all the movies he worked on. That being said, let's begin! Oh...also at the end of this show, I'm going to give you a chance to win a BRILLIANT collector's set of A.R.Rahman's songs (a 4 cd set) by Sony Music!! His first film way back in 1992. Well it's not that waay back when you think about it eh? But yeah, 1992 was when he kicked things off with Roja. What a brilliant song this is! Okay on the next movie. The Hindi version of the movie was called "Chor Chor" but the song that I have for you was from the Tamil film "Thiruda Thiruda". Bet you all remember this song. Man, I remember doing a fashion show or something choreographed to this song. It was like the ultimate ramp walk song that year :) Heh. Brilliant stuff. Listen to the things he's got going on in this song. What production and what ideas!! Legendary! You can see right at this point in his career that the man is going to be massive in the years to come...and we know how he turned out right? Next up is a Tamil movie that had the Indian Michael Jackson! Man!! That guy was on fire. Who? PRABHU DEVA of course! Remember this next song from the 1993 movie Gentleman? Another killer song from the movie was this next song. Apparently this song soundtracked a BBC fashion show!! And here's the hindi version of the song! You COULD NOT have missed this next song. If you did...you weren't in India in the 90s! Here's the other great song from the movie!! There was a 1994 Tamil film called Duet which was apparently also dubbed in Hindi. This song from the movie was beautiful! I'll admit this next song is making an appearance thanks mainly to Hariharan. I'm a huge fan and I love the way he's sung this hit song from Rahman's 1995 Soundtrack for Tamil film "Indira". And then came the big BOMB! Bomb-ay! So many great songs again! This next one...oh man! What a song! Did you sing along with this one? I know I did! I love this song...and there was a version of this song that the Colonial Cousins did when they played MTV Unplugged. It was totally LEGENDARY! And BOOM! After Bombay...he goes ahead and does Rangeela in 1995! I mean holy crap! What a way to follow a big hit eh? And the hits kept coming! Here's another great song from the movie! But the #epicwin from this movie had to be this next song. One of the sexiest movie songs ever in my opinion. Oh f**k me silly! :) This next song has to be seen just for the awesomeness that is Rajnikanth! This was the first Rajnikanth film that Rahman gave music for. It was called "Muthu" in Tamil and did you know that this got released in Japan! Dubbed in Japanese! Made Rahman a big name there! Good God man! Check out Rajnikanth's entry in this song! Aila! Apache Indian sang for Rahman in the 1996 movie Love Birds...and once again we have the dance machine...Prabhu Deva! Next up is a 1996 film called Indian. The Hindi translation was called "Hindustani". Another 1996 song that was a huge hit was from a movie called "Kadhal Desam". The Hindi dub of the movie was called "Duniya Dilwalon Ki" and here's a song from that. The next big movie for him was the 1997 "Sapnay". The soundtrack earned A. R. Rahman the National Film Award for Best Music Direction for the second time. The first time he won the award was for his first film Roja. And now here's Aishwarya Rai Bachhan's first movie!! It was a movie called Iruvar, directed by Mani Ratnam and whose music was given by Rahman. Here's a song from that movie. Next up was a movie called Daud which totally sucked I'm sure but it had this really nice song. Check it out. And you have to see this next song because it was a very controvesial song back then because of the picturization. Next up is another South Indian movie that featured Aishwarya Rai. Here are a couple of songs from "Jeans"! And right after this was the MASSIVE hit soundtrack of "Dil Se". This I believe was Preity Zinta's first film. Here are some of the greatest songs from that. I love this next one. Now this was a movie which had some stunning songs. What a brilliant song this next one is. The next song has a very airy, ethereal feel to it. Love the song. Also it has Hariharan which is always awesome! And finally the last movie I want to feature for the 90s is coming up. This one was called "Thakshak" and it had some brilliant songs too. Like this next one. Another singer whose voice I like a lot is coming up for the next song on the list. A movie I missed out was 1947: Earth. Here's an awesome song from the movie! Wow! This is some task I've taken on! I thought I could go through Rahman's entire catalog in one show but I was SO wrong! I've just gotten the 90s in and I'm sure you'll say that I've missed some song that you really love. That's the awesome thing about the man! He's made songs and music that'll remain with us for years to come! Some day soon, I'll also go into his music post 2000. But for now, I've got another contest for you!!! I'm going to give you a chance to win a BRILLIANT 4 cd set of the man's music! The set contains soundtracks of Jodhaa Akbar, Rang De Basanti, Lagaan and Guru! In the subject put up "The MJ Show - A.R.Rahman Contest" and send me the mail asap! 1. What does A.R. stand for in A.R.Rahman? 2. Name any one song from the 4 movie soundtracks that are in the box set that you stand a chance to win. 3. A.R.Rahman has won won fourteen Filmfare Awards, four National Film Awards, a BAFTA Award, a Golden Globe, two Grammy Awards, and two Academy Awards - True or False? 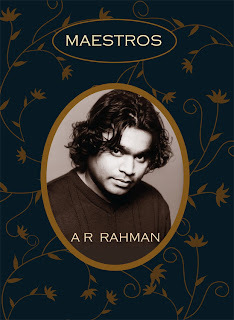 Bonus Question: (Just for my knowledge) - Which is/are your favourite Rahman composition/s of all time? The winners will be picked by a popular twitter personality very soon!